Young women are slapping themselves in the face. Blinded by socially promoted cosmetic lines like Rihanna’s Fenty and Kylie Cosmetics, millennials paid pretty pennies in the name of beauty. They also splurged for skin care to wipe off the latest fads. Their grandmothers discovered it. Their mothers used it. Now, witch hazel spellbinds the progeny with costs below $10, in aloe and fragrant rosewater formulas older than all three generations. Witch hazel use in America dates back centuries. Though not commercialized until the mid 19th century, Native Americans valued the extract. Tribes liked the Oneida in the northeast drained the liquid from the yellow shrub, which resembles stringy bell pepper peels, to treat sores, open wounds and to stop bleeding. Compounds in the clear extract create astringency invaluable to herbal teas brewed to clog internal bleeds. Given its ostensibly miraculous capabilities, witch hazel flooded lore through native storytelling. However, the shrub could not ward off all evils. In fact, the maleficent moniker does not relate to sorcery. The Anglo-Saxon word “wych,” meaning flexible, described the shrub’s flexible branches and versatility. Thus, “witch” hazel. Nevertheless, mainstream fascination continued. Popular brand Thayers boasts a 171-year history. The current best-selling toner on Amazon originated in Dr. Henry Thayer’s Cambridge, Massachusetts, lab in 1847. Unlike quack patent medicines advertised in the penny press before regulation, witch hazel proved no myth, sustaining the family business now located in Easton, Connecticut. By the 20th century, witch hazel found its way into medicine cabinets not for medicinal use, but for cosmetic use. As dust and destitution swept across the United States during the 1930s, women wanted to put on happy – and pretty – faces. They wanted to resemble glamour’s epitome: the Golden Age Hollywood stars. Depression-era silver screen queen Joan Crawford remained notorious for her stringent morning routine. Well past her popularity, the star used the astringent to keep her aging skin pristine. Born poor, Crawford favored natural solutions like witch hazel and rosewater. Her 1971 memoir “My Way of Life” lends advice to future generations. Today, millennials – babies in witch hazel’s relative history – follow the same example to keep skin smooth. Application proves simple enough for a toddler. “I just take a cottons swab and rub it over my face and neck,” University of Tennessee student Kathryn Hopkins said. Others simply squirt the liquid into their palms and pat across pores. No matter the method, application aims to repair dry and damaged skin. Hopkins uses witch hazel morning and night to combat acne lesions. Hopkins struggles with a naturally red skin tone which she said has “calmed down significantly” since her first use two years ago. 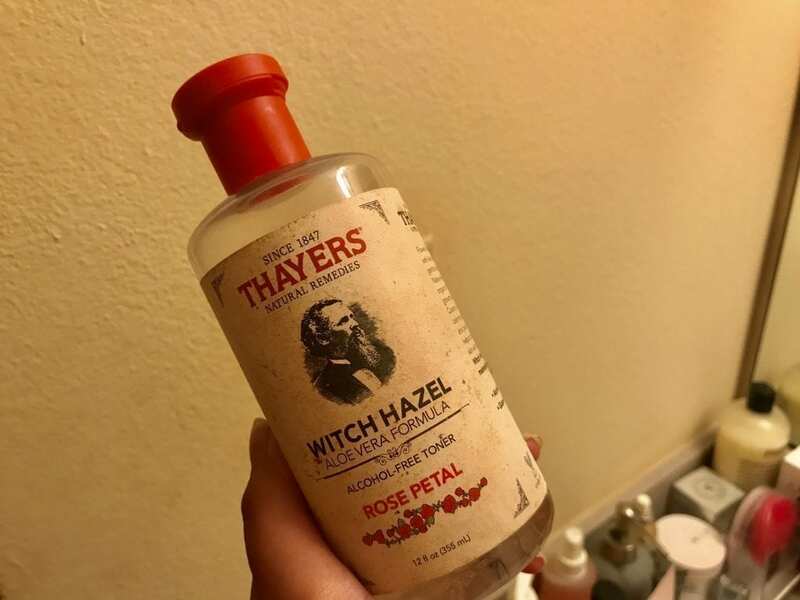 On a college budget, witch hazel helps her pores and her pockets. Hopkins’ mother, a family medicine specialist, also uses the product, primarily in her practice. She applies witch hazel for hemorrhoid treatment, a method implemented by native practitioners centuries ago. As for witch hazel, no expiration date exists. Previous POLL: Do you plan to get a flu shot?